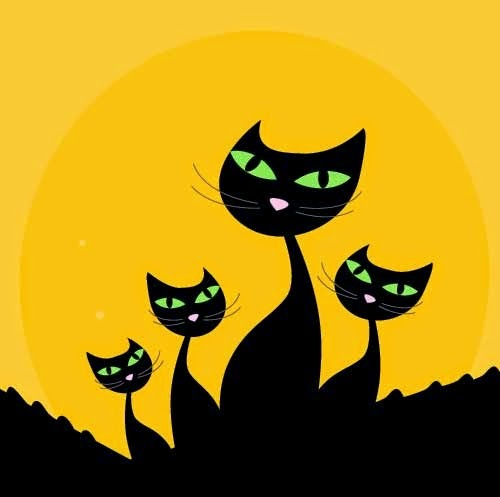 When we think about the celebrations of Halloween we also think in black cats, for that reason is that below we present a selection of images with this enigmatic animal that you can use for decorating, to create an original message or to share with your friends and special people. An image of black cats with long necks. Here we have an image with a black cat sitting next to a smiling pumpkin. 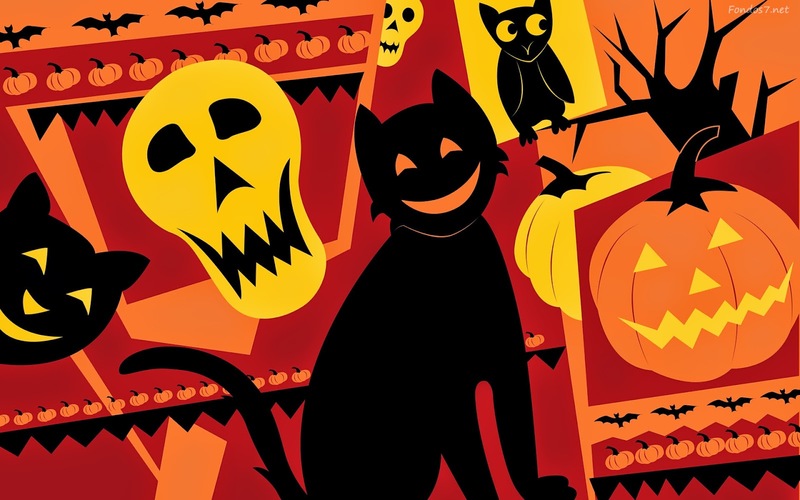 An image with a group of black cats with smiling pumpkins and skulls. In this picture we have some Black Cats on a cream background. 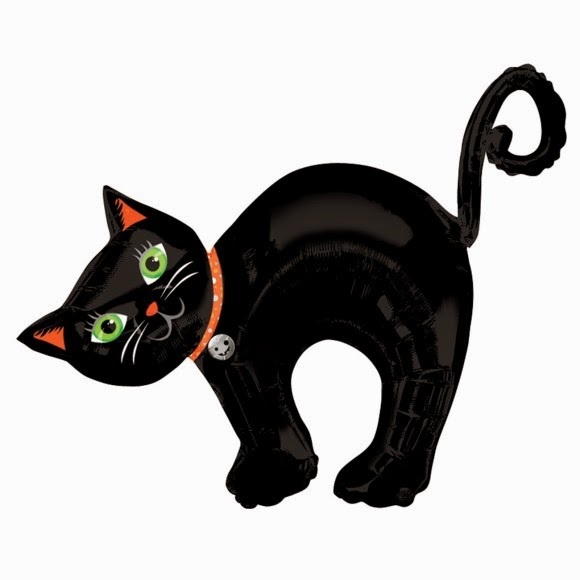 An image of a black cat with a red necklace. 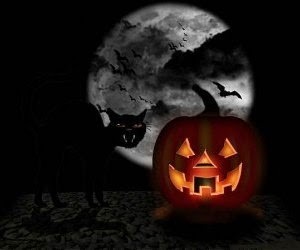 A black cat with a dark expression beside a pumpkin in front of a full moon with bats. 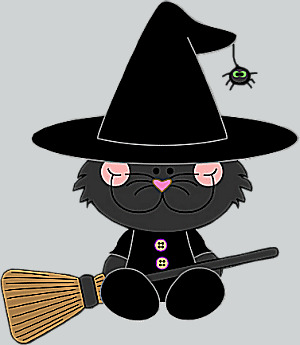 A funny picture with a cat dressed as a witch with a hat and a broom. 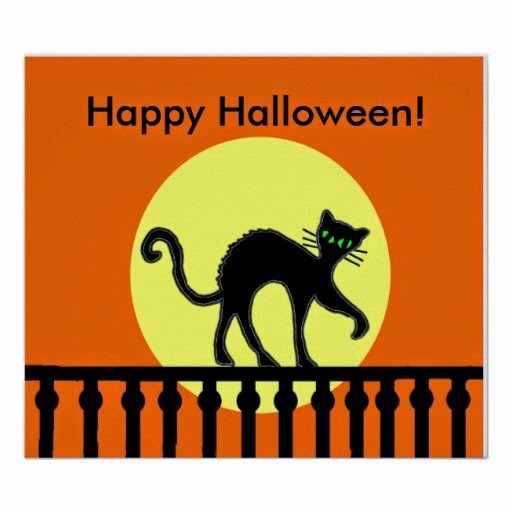 A card with the words Happy Halloween and a black cat on a balcony. 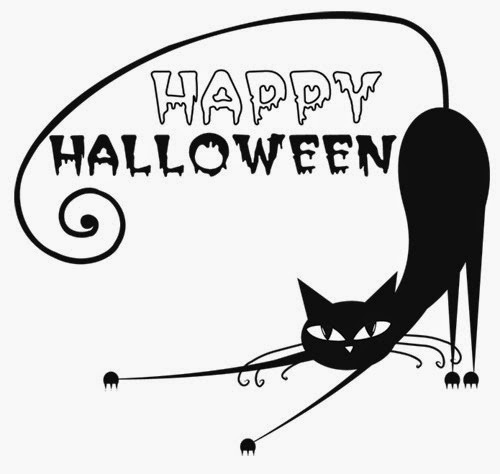 A stylized image of a black cat with the words Happy Halloween under the tail. 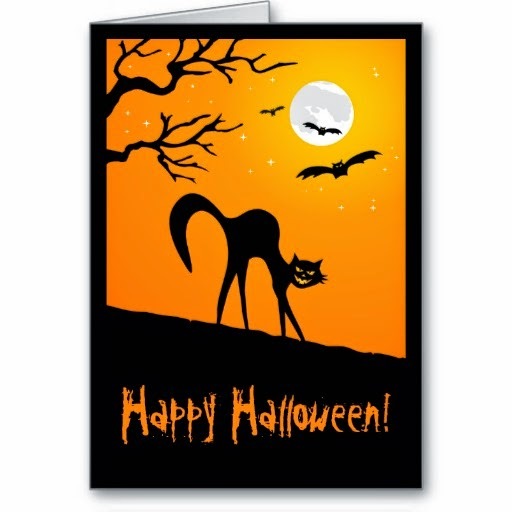 Another funny card with a black cat, the moon and some bats.